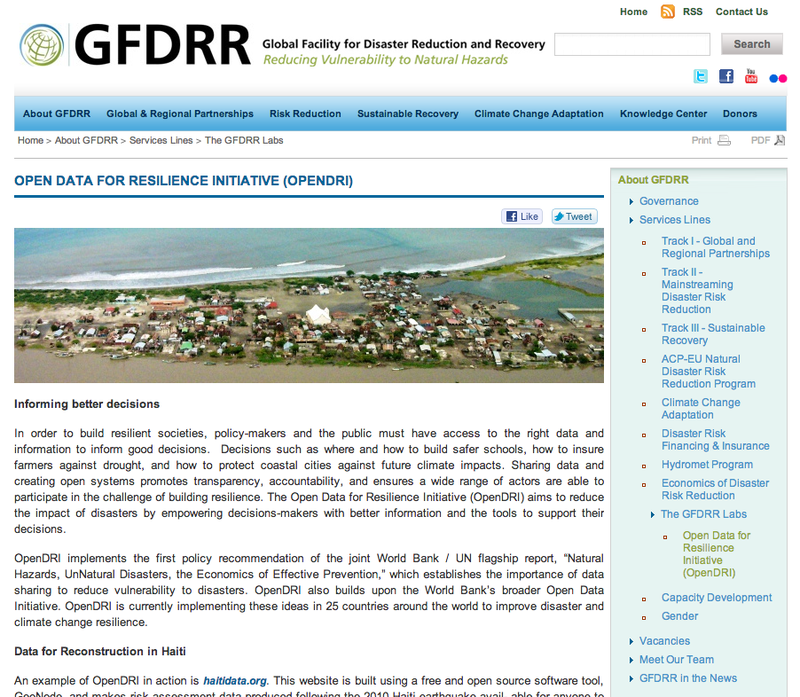 I came across the Open Data for Resilience Initiative, a global partnership that seeks to build data sharing programs along with the capacity and tools to use data to make more informed decisions, that is working on implementation in 25 countries. I came across it at work while I was looking for Haiti data, specifically in terms of Haiti-specific geo-spatial information, data and knowledge sources. The data can be used for many purposes: establishing baseline data, conducting risk assessments, planning, project monitoring, and tracking progress. This site is intended to facilitate more effective support to the country’s rehabilitation, recovery and longer- term sustainable development. I am prepared to start our radical personal archiving collective! This article is a fantastic example of how ill-prepared we are to preserve our own cultural objects. The article quotes a Friendster user who had admittedly not used the site in several years but was emotionally disturbed by the news: “It reflected a particular moment in time in our lives.” The materials may include embarrassing photos of users drunkenly dancing, but these materials are culturally-telling. They represent our Internet culture that posts personal information with no regard for the consequences. It is important to recognize and capture our culture’s growing sense of anonymity and our precarious Internet etiquette. Friendster’s user information will be treated like spam and not like the snapshot of culture that it is. How do we place such trust in similar companies and their storage services? It amazes me that we tend to assume that our digitally-born materials are immune to loss, like my high school photo albums that are safely stored in my parents’ home. While a storm or fire could easily destroy my albums, it is doubtful that my parents would let me know that they plan on throwing them out next week (fingers crossed). The article refers to Friendster information as “a time capsule with snapshots of who they [users] once were. It is a version of their history that is not in a scrapbook or dusty shoebox but is live on the Web — for now.” It is frightening to think that at any moment, companies like Google could disappear, along with the majority of our digitally-born materials that we have confidently stored in the cloud. The consortium of companies in the group are responsible for a good deal of the consumer and professional devices that might be used for creating, manipulating, or storing digital images, so it has a good deal of bearing on what we’re discussing. You can download their specifications document, which is good to look at and consider how their standards compare and contrast, as well as augment or potentially clash with the Getty documents or other standards we’ve read. I went on a search to find an internet website archive (this pertains to my previous post about preservation of websites) and came across this internet archive. The amount of information on here is incredible, there are projects pertaining to the internet, moving images, texts, audio…theres a lot to explore! Another site you might want to explore is the National Library of Australia’s Pandora Web Archive. they’ve been preserving Australian websites since the late 1990’s and have a massive collections of sites filled with Australian content. conservation and preservation, including international needs, issues, perspectives, and accomplishments. recommendations for future action in key areas, including emergency preparedness, education and training, public awareness, new preservation approaches, and assessment and planning. To access these resources, click here: http://www.salzburgglobal.org/2009/News.cfm?IDMedia=52858. “Connecting to the World’s Collections: Making the Case for Conservation and Preservation of Our Cultural Heritage” is available in PDF format at http://www.imls.gov/pdf/SGS_Report.pdf. Hey class! Head over to the Course Website to see the quick tutorial on changing your display name on wordpress – please take a minute to do it sometime this week!